The BBC's Allegra Stratton on the Power List and politics, cook Mary Berry on perfectionism, music from songwriter Beth Orton, dads and responsibility. Presented by Jane Garvey. The BBC's Allegra Stratton on the women in politics who could make the Power List, cook and self-professed perfectionist Mary Berry discusses the desire to be the best with psychologist Professor Jason Moser, singer songwriter Beth Orton performs a track from her latest album, why absent dads are an issue in the Afro Caribbean community with David Lammy MP whose own father left when he was 12. We ask Allegra Stratton - who are the most powerful women in UK politics? We talk to Mary Berry and Dr Jason, Professor of Psychology at Michigan State University. 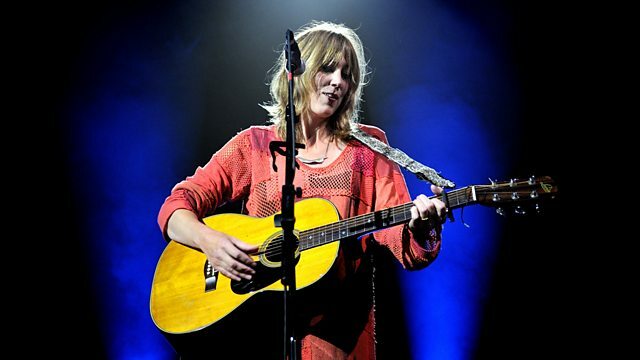 Beth Orton performs her new single Call Me The Breeze. David Lammy on the problem of absent fathers in the Afro Caribbean community. We’ve had a female head of state for the last 60 years – the Queen, but women are still outnumbered by four to one at the political top table. With women still pushing towards equal representation in government, parliament and the devolved assemblies, who are the women who matter in UK politics? Jane is joined by Allegra Stratton, political editor of Newsnight. Are you a meticulous person who is always striving to reach impossible standards? Would you describe yourself as a perfectionist? On Monday’s programme Jane will discuss the findings of a new US study which suggests that perfectionism runs in the family and is inherited not learnt. Our guests will be Dr Jason, who is Professor of Psychology at Michigan State University and self- professed perfectionist, Mary Berry. The singer songwriter Beth Orton came to popular attention in 1996 with her Mercury Prize nominated album Trailer Park, when her voice and ‘folktronica’ blend of folk and electronic sounds won her the moniker “the comedown queen.” She went on to win a BRIT award for 1999’s Central Reservation, and had a top ten hit with Daybreaker in 2002, but after her last album in 2006 she seemed to disappear. However now she’s back with a new album, The Sugaring Season, having since reached 40, become a mother to two young children, married, and left London for the Norfolk countryside. She joins Jane Garvey to talk about her personal and musical journey of the last six years, and to play live in the studio, along with her husband, the folk singer Sam Amidon. David Lammy, whose own dad left when he was 12, has been finding out why absent fathers are such a big problem in the Afro Caribbean community, where 65 % of children are looked after by a lone parent, nearly always the mother. Many dads are still teenagers when they father several children with several women, often as a result of one night stands and short term relationships. But what impact does their lack of interest and involvement have on the lives of their sons and daughters? Lammy visited a parenting course for young fathers at St. Michael’s Fellowship in South London for a documentary ‘Dads Who Do’ . He tells Jane Garvey about the way these young Afro Caribbean men, with support and guidance, are turning away from gangs and crime and facing up to the responsibility of being a dad. Men like Shawn, a father of five who had his first son at 15 and spent 3 years in prison. Now he not only looks after his own children but runs a Saturday morning clubs for other young dads.